Gas & Oil | Fusion Heating Ltd.
We offer comprehensive service and safety plans to homeowners and landlords. Each is designed to help avoid excessive running costs, future breakdowns and to comply with current legislation. You should have your boiler and any other fuel burning appliances (cookers, fires, hobs etc) serviced annually to ensure your warranty remains intact and to prevent future problems and ultimately save you money. If your central heating has broken down, call us and we will organise an emergency breakdown engineer visit that same day. We are also qualified to issue Energy Performance Certificates (EPCs) if your require one for your property. If your boiler is over 15 years old, you should really consider replacing it – and you may be able to get a grant to help with the cost. Fusion can talk you through the current grants available, and our own 0% finance option. We are Authorised and Regulated by the Financial Conduct Authority. We are a Credit Broker and not a Lender, We offer Credit Facilities from one Lender. 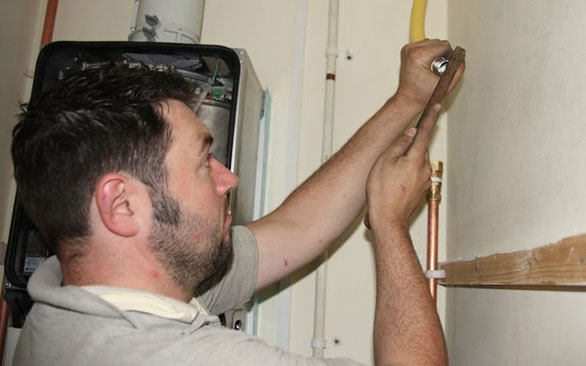 All our heating installations are completed within one day, giving minimum disruption to you. We are an accredited installer of various manufacturers’ boilers, and we have negotiated extended warranties on these appliances at no extra cost for your peace of mind. We will discuss the most appropriate appliance for your house during your free, no obligation survey. We also offer power-flushing of your heating system, oil tank replacement, and service plans for total peace of mind. 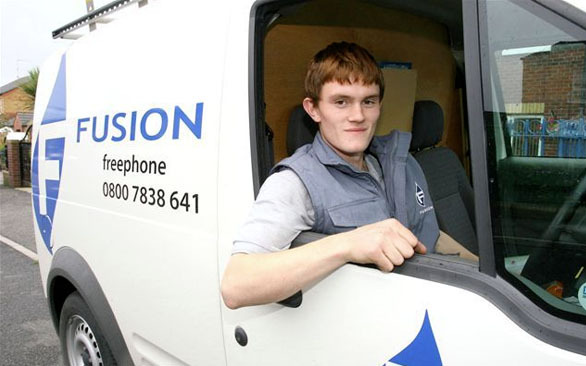 Fusion has all the trades in-house from gas and oil engineers, to plumbers, joiners, electricians and multi-skilled builders. We are the true one-stop-shop for all your central heating needs. Call us on 0800 7838 641 or complete our online booking/enquiry form for more information.